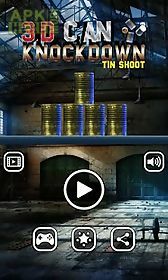 3d can knockdown: tin shooter game for android description: can knock down: the most addictive and 100 free game on android market and become a cold blood smasher while aiming at and knocking down piles and pyramids of cans! 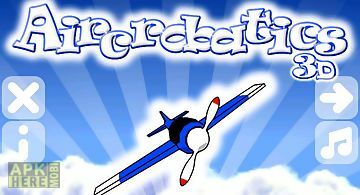 Start playing and you just wont put down this marvelous title till you drain your battery empty! Just throw a baseball football and or a tennis ball into the can pyramids and enjoy! Set high records to compete your friends! 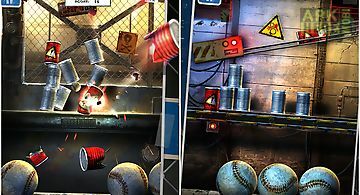 Features: toss a ball into the can pyramids find the unlimited fun! Multiple challenging levels in beautiful 3d locations amazing realism perfectly tuned physics engine easy to use controls several puzzle type levels to unlock! Just blast a can with a bomb in it and see the explosive action! 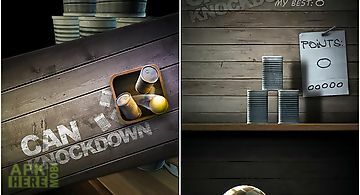 Unlock new levels open new locations and discover hidden secrets! You will have five balls you should not destroy a shoot. Get extra shoots and bonus on smashing a specific can. 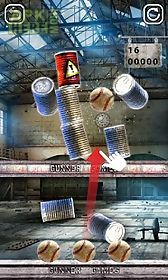 Smash as many cans as you can and get more bonus and thrill! 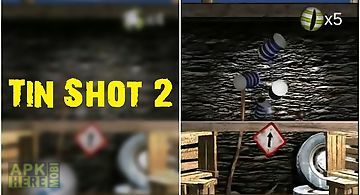 Amazing and rewarding game modes which will keep you playing all night long high resolution eye catching gorgeous 3d graphics true to life physics realistic sounds and so much more! Notice: if you see the game lagging please continue playing. It should get smoother as you replay the same level again. Be accurate! Be smart! Be quick! 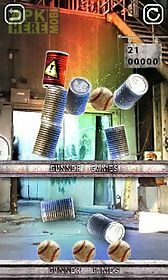 Challenge your aim hone your precision and push your puzzle solving skills to the next level in this insanely addictive ga.. Throw a ball into a target. 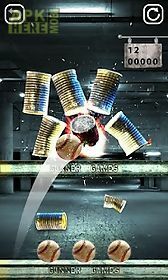 Try to destroy the construction made up of tin cans. Remove them all from the stand with one throw. 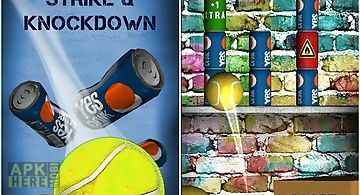 Practice your aim in this s..
Toss the ball into cans arranged into different figures and knock them down. 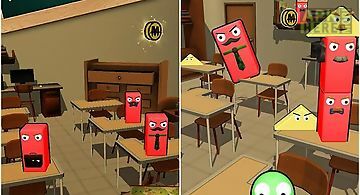 Simple yet addictive android game where you have to throw the ball into differ.. Throw funny bubbles into constructions made of square blocks. 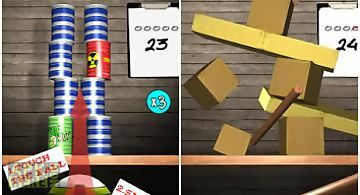 Destroy blocks to get players points and prizes. 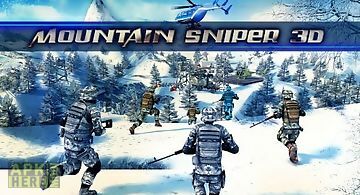 Train your accuracy in this engrossing andro..
Mountain sniper 3d: frozen front.. Participate in extreme war in snowy mountains. In this android game you are a special mission unit soldier and you have been sent on a mission to mountains..
Doodlejumperjump higher and higher simple game principle with new graphics and features! 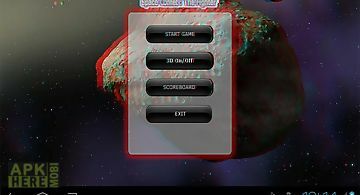 Features: cool 3d graphics realistic physics 100 randombut be care..
Spacecomet is a simple game where the goal is to destroy comets going towards the earth hence saving the world. 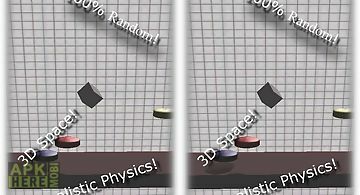 This game can be played in 3d mode. Gt your..
Want to have a cute pet game on your phone? 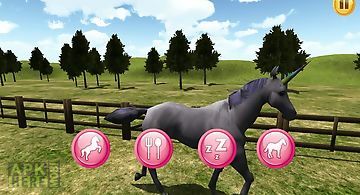 My unicorns 3d is a new cool animal simulator. In this game you should take care of a real unicorn! 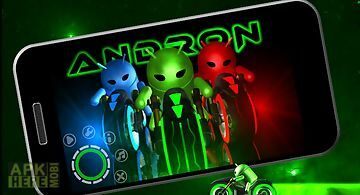 In my unico..
Andron 3d is a racing game in tron style. It features 10 different levels in a fully 3d environment with glowing shaders particle effects and support for d..